Washington’s waters are home to an extraordinary community of marine plants and animals, including legendary salmon runs and three pods of resident killer whales. The world’s largest octopus, starfish, moon snail, and burrowing clam all reside in Washington. But the region’s species and habitats face challenges posed by shipping, dredging, overfishing, watershed development, industrial pollution, climate change, and exotic competitors and pathogens. Washington Sea Grant (WSG) field agents — and the volunteers they train — educate and inspire citizens in marine stewardship and monitor shoreline habitats for emerging threats. WSG supports a wide range of cutting-edge research into the impacts of human-caused environmental changes on species both humble and charismatic, from the bottom of the marine food web to the top. 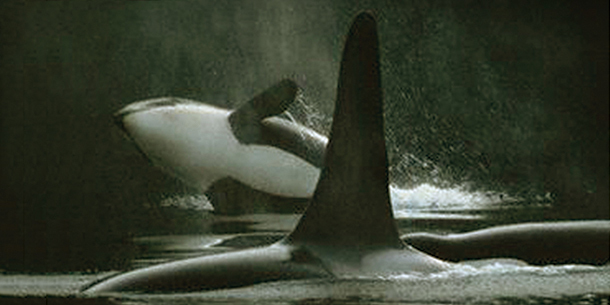 Many salmon runs are in decline, as are the salmon-dependent orcas. A mysterious wasting disease has lately ravaged the abundant sea stars. Washington Sea Grant-funded research produces unbiased scientific information that helps communities, policy makers, and residents understand the value of and threats to our state’s marine life. Many articles in our newsletter, Sea Star, explore further the research that WSG-funded scientists conduct on changes in marine and coastal ecosystems. See the autumn 2014 issue’s “How ‘Bait-Saving Lines’ Became Global Bird Savers” and “Seabirds: Beautiful When They’re Alive, Useful When They’re Dead”; “Copepods May Cope, but Krill Cringe When the Water Turns Sour” in the spring 2014 issue; “A Code of Many Colors: The Salmon Genome Revealed” from autumn 2013; “Elwha Unchained, Fish in Flux” from summer 2013; and “Hiding from Hypoxia: How Fish and Invertebrates Seek Safety from Lethal Conditions in the Hood Canal” in the winter 2012 issue. WSG staff share their expertise with communities and individuals, enriching the public’s appreciation of Washington’s diverse marine ecosystems. WSG field staff organize, train, and coordinate volunteers in many projects that monitor and protect those habitats. introducing children and adults to local ecosystems through beach walks, tideflat tours, touch tanks at community festivals and many other experiences. WSG’s Marine Fisheries Scientist, Ed Melvin, and colleagues have worked to reduce bycatch of the Short-tailed Albatross, an endangered species for which incidental takes potentially could cost fisheries hundreds of millions of dollars.